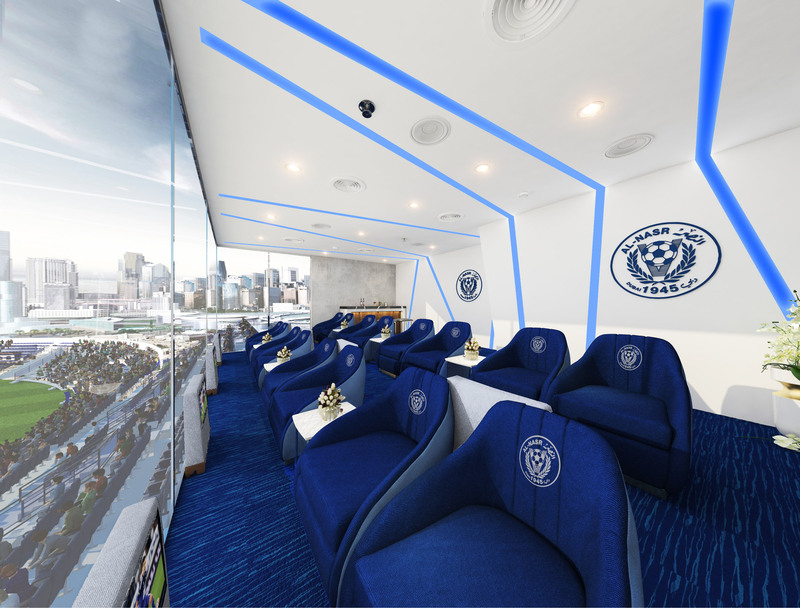 Al Nasr Club is one of the main football Clubs in UAE with phenomenal popularity and large fans base within UAE, particularly in Dubai. 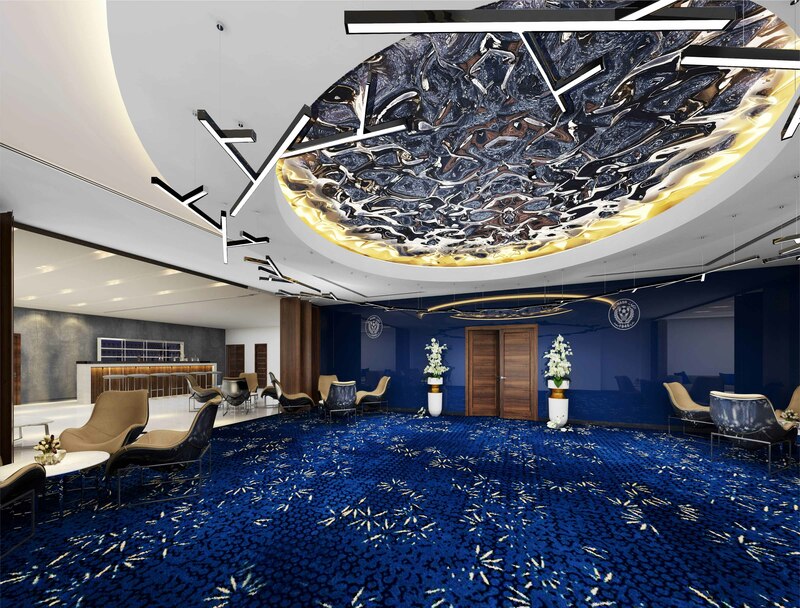 The Club is located in the heart of Bur Dubai district. 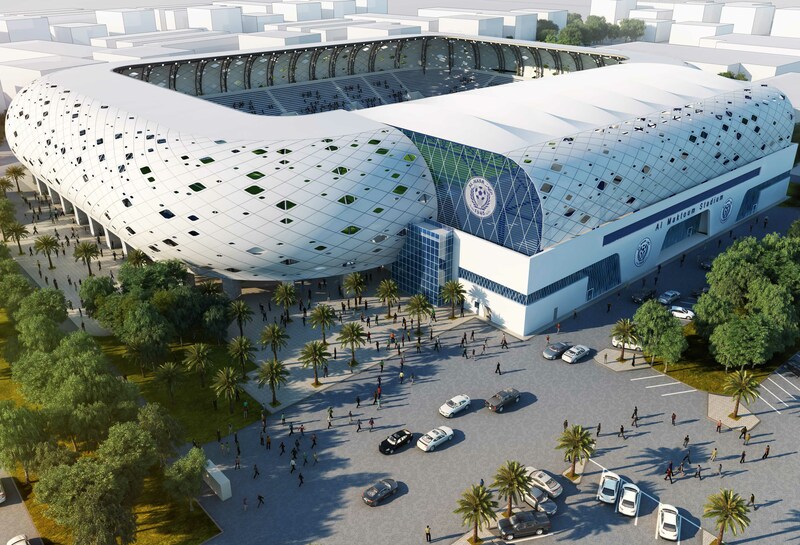 In 2016, UAE won the bid to host the 2019 Asian Cup, when Al Nasr Stadium was selected by the Local Organization Committee to be one of the main stadiums to host the AFC 2019 Tournament, based on the history of Al Nasr Club and its stadium. 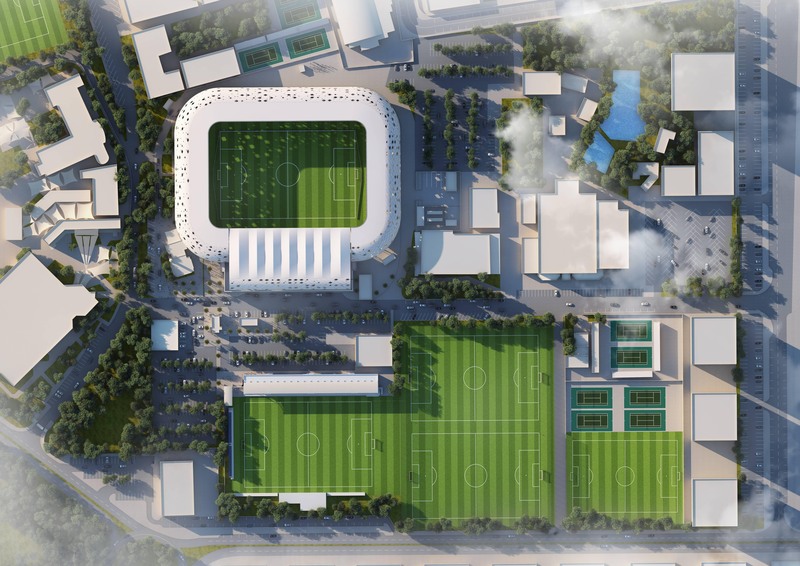 OBE Architects has been appointed by the Client to carry out a full study of the existing stadium for compliance with the FIFA Regulations and the Asian Football Confederation. And propose the required changes to qualify the stadium, including the upgrade of the current stadium, as well as review the tournament requirements and propose solutions, and to propose a design for the after event stadium design. OBE Architects has appointed a spectrum of consultants and specialists including HOK, DPA, Movement Strategies, Space Agency and others. 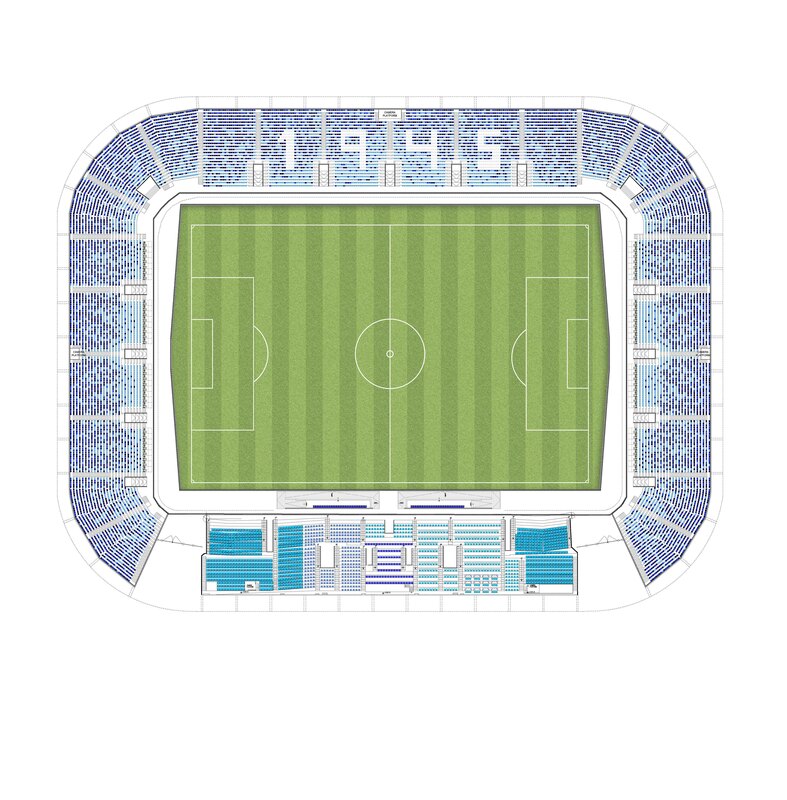 The Architect’s mandatory was subject to several brief developments that have changed the brief to significantly increase the capacity of the stadium spectators as well as adding shading over the spectators’ areas of a state of art design using improved PTFE fabric. 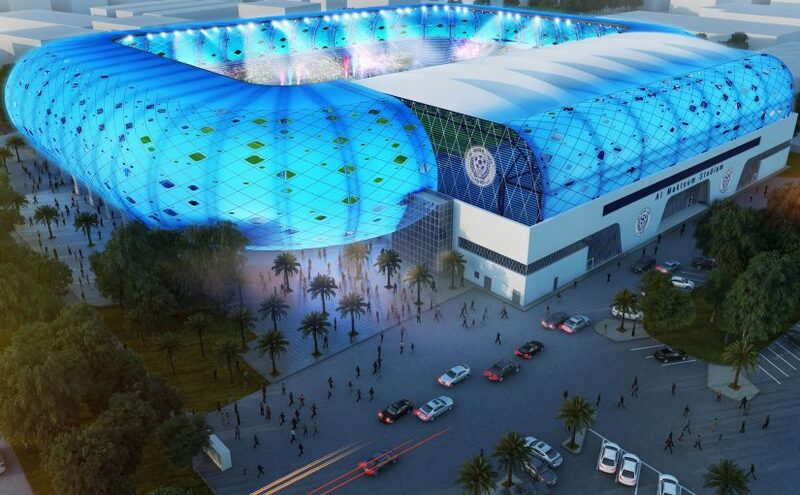 Most of the existing structure of the stadium was demolished, and a more massive modern stadium started to arise in Al Nasr Club premises. 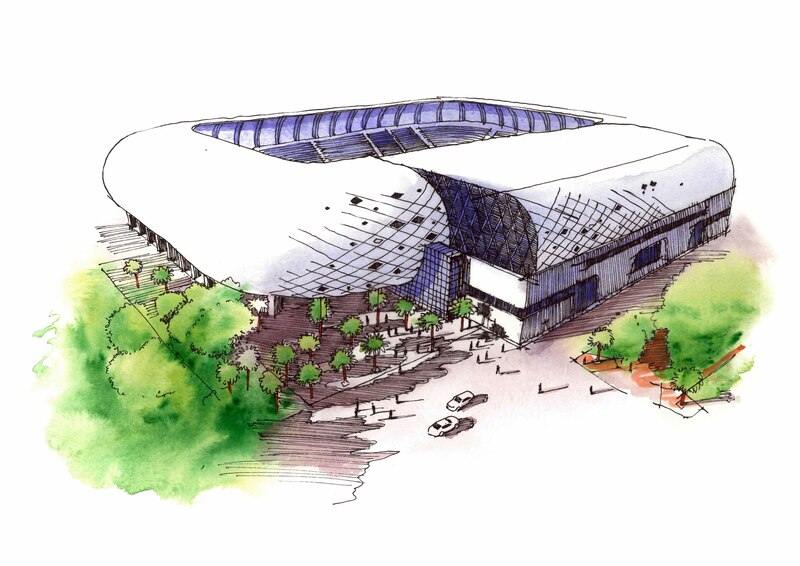 The form was derived from the functional shape of the spectator stands, surrounded by existing buildings and roads network that was limiting the freedom of the formation of the stadium shell. The design, therefore, had to cope with the available space and negative space offered by the surrounding existing elements. A white shell form started to float above the ground with random openings, adding a romantic accent to the large white skin. The lightweight envelopes offered the concrete structure of the stadium with an appealing fabric from outside that interacts with the pedestrian around the stadium and within the concourse too. 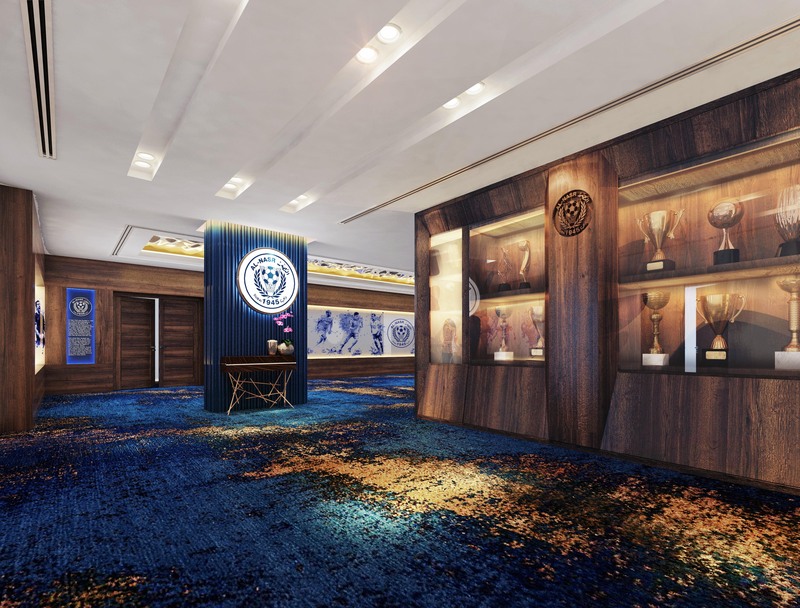 Al Naser Club has been selected to be one of the hosting Dubai group for Asian Cup (2019), this selection demands significant change to be made to the Club & major refurbishments to its utilities which are almost 40 years old.